Duffle carrier bags can be supplied with one or two loops. The double duffle carrier bag has two loops, so can be worn over both shoulders simultaneously. 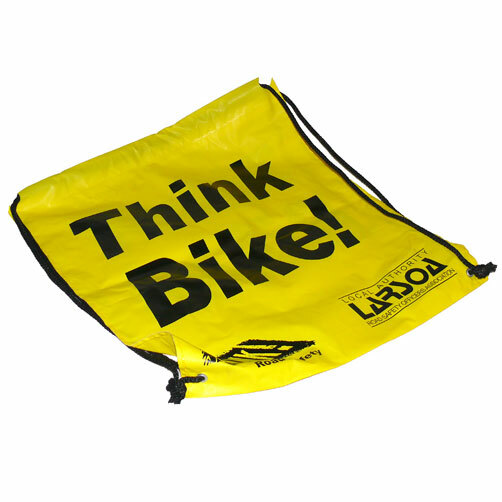 This is ideal for cyclists or motorcyclists as it leaves both hands free to control the bike. They are also ideal for walking with, as yet again, leave both hands free. The double duffle bags can be supplied to the same high specification as the normal duffle carrier bags, just with the extra handle. Our Company assist in the creation of exhibition double duffle carrier bags. The Companys sales staff are happy to help managers decide on bespoke double duffle carrier bags. For choose by material or different styles of , get in touch with our team using the above details.